It’s Doctor Who’s fifty first birfday today, so everything posted today will be Who related and well, let’s start with a rant. Say it with me, the BBC are jerks., doesn’t that feel better? BBC is famous for yanking the license with no warning and no explanation, see Product Enterprises and IDW for just a couple more examples. Aggghhhhhh! I would have bought every one! Damn you BBC! I will devote the rest of my days to making sure I give you as little licensing bucks as possible, I’ll read magazines at the bookstore, download the show and make my own figures. 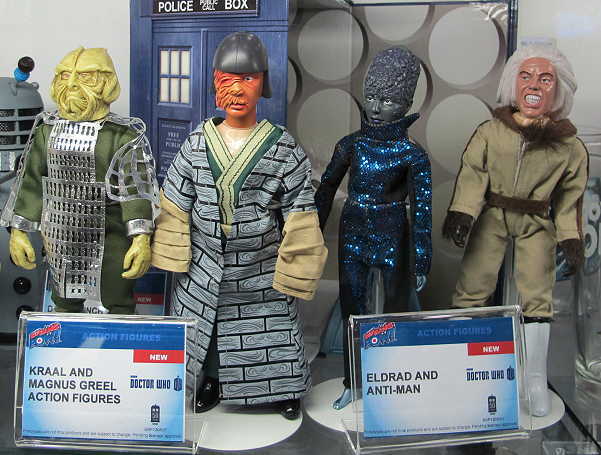 This entry was posted in BifBangPow, Cancelled, Doctor Who by megohead1. Bookmark the permalink.